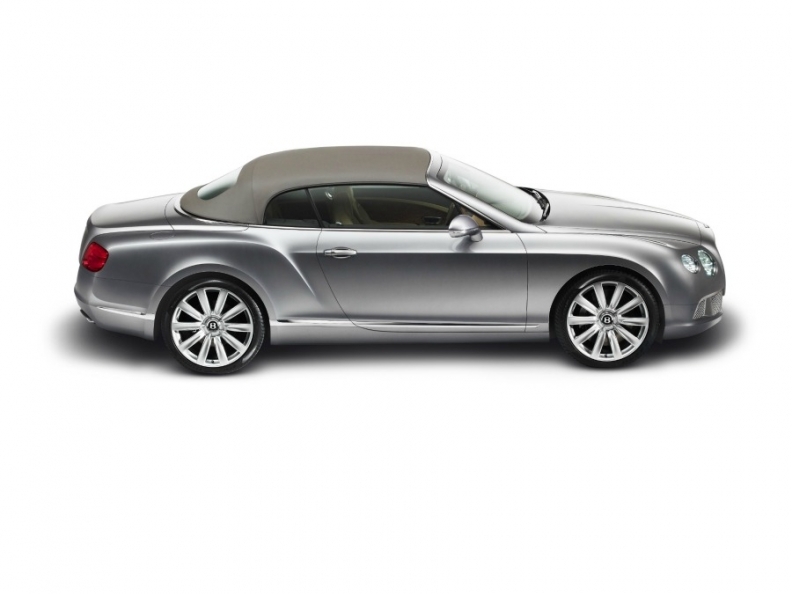 Bentley gives Continental GTC a power boost. 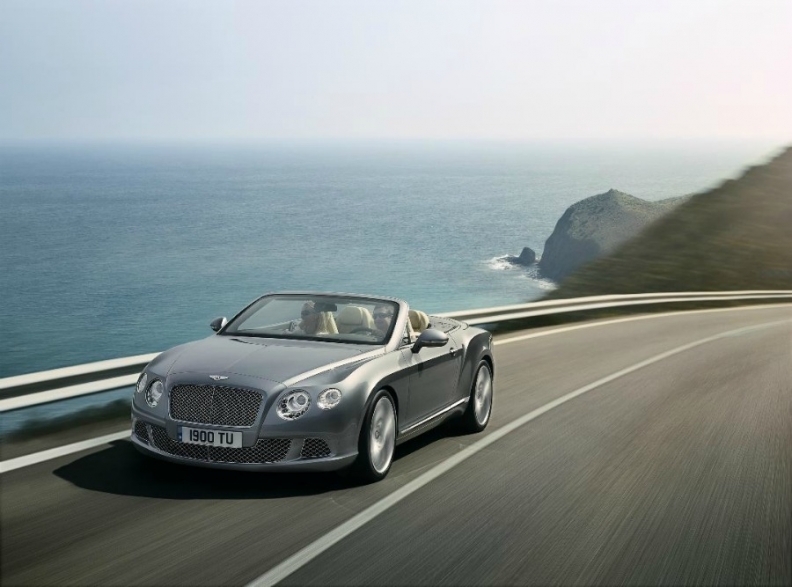 The second-generation Bentley GTC convertible has a more self-confident and more muscular look than the current model. Bentley today released details of its new Continental GTC convertible that will debut at next month's Frankfurt auto show. The second-generation car has a more self-confident and more muscular look than the current model. It is also more comfortable with added leg room for rear-seat passengers, a touchscreen infotainment system and a neck and shoulder warmer. The four-seat convertible's twin-turbocharged 6.0-liter, W12 engine now delivers 575 hp, compared with 560 hp previously. A new, quick-shift transmission from ZF makes especially fast gear changes possible. The latest GTC is 70kg lighter than the current car. The four-seat convertible's twin-turbocharged 6.0-liter, W12 engine now delivers 575 hp, compared with 560 hp previously. The car can accelerate from 0-100kph in 4.8 seconds (0-60 mph in 4.5 seconds) and has a top speed of 314kph (195 mph). Deliveries start in December. The car will cost 170,060 euros in mainland Europe plus local taxes, 149,350 pounds including VAT in the UK and $212,800 in the U.S, plus local state taxes. Just over 10,000 units of the current GTC have been sold since its introduction in 2006. More than 2,000 went to customers in Europe.